All Brick Beauty in Desirable Wind Gables! 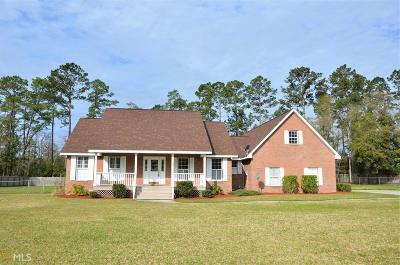 2485 Sq ft of living space sitting on close to an acre of property (2 lots)! NEW Roof and NEW Luxury Vinyl Plank flooring in the kitchen through to the indoor laundry. If you are looking for elbow room you have found it. 3 bedrooms, 2 full baths, large dining room, breakfast area, open kitchen, great room and a bonus over the garage. Both the front and back porches have been refinished and are ready for your rocking chairs! This home is conveniently located about 2 miles from exit 7 of I95 for a quick drive to NS KingsBay, Jacksonville International and all points North and South. Directions: Exit 7 Off Of I95, Head East About 2 Miles. Turn Right Into Wind Gable. Home Is On The Right.